CommzGate ONE (CG-ONE) is an palm-sized appliance hardware designed to solve specific IT challenges using SMS messaging while offering data privacy and control that can't be offered by cloud-based SMS service providers. Use the integrated HTTP-based API to send SMS messages. API is designed for integration with minimal effort. 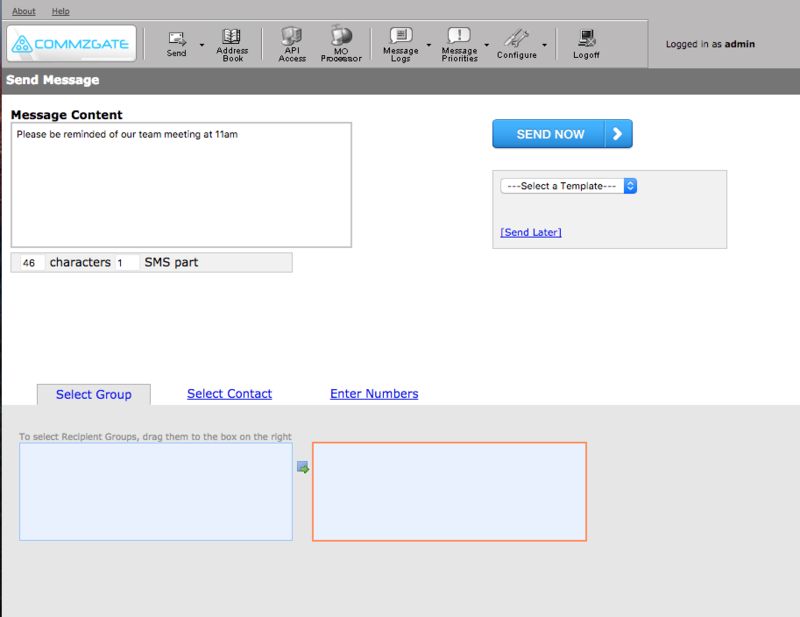 The integrated Web Portal login allows you or your team to to send SMS broadcasts easily. Configure incoming SMS commands to execute a URL-based script to for example, query a database, or activate a registration. Monitor services on your network without dependencies on the network itself as the alerts are sent via SMS. Management and usage of the software is via standard web-browser. 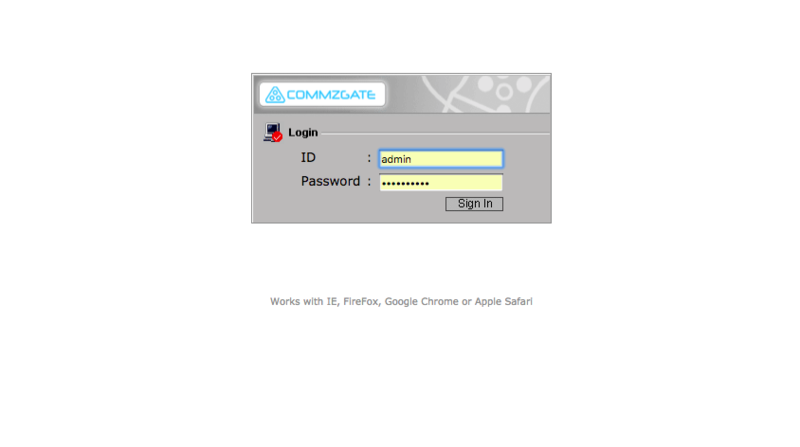 Login remotely using a PC or tablet device. Use stand-alone mode to login even without a local network. 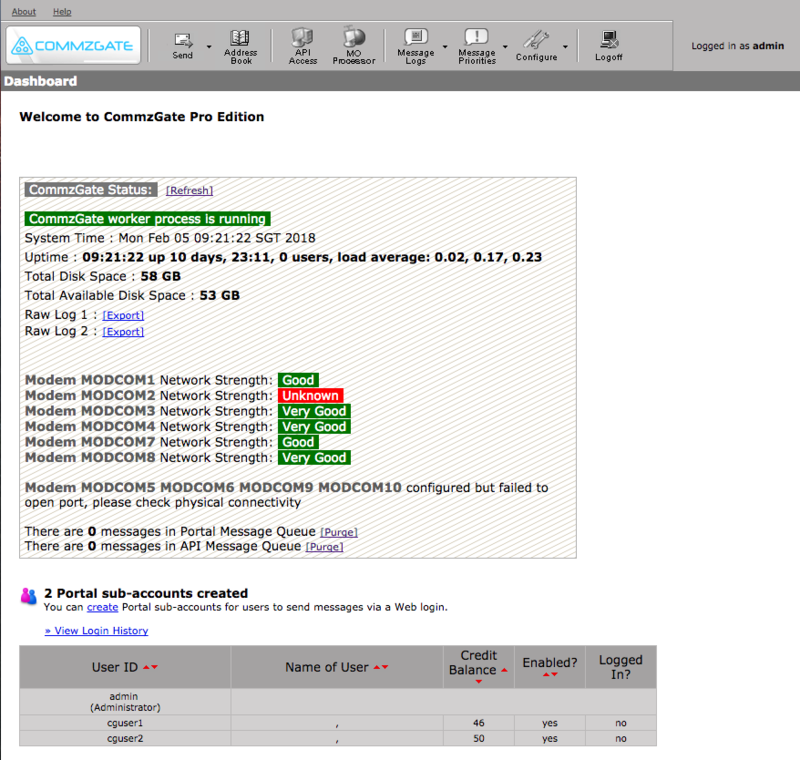 The System Dashboard is the starting point for administering CG-ONE and displays a summary of your modems and 3G network connectivity status. Use the top menu to navigate the various options. Configuration options for CG-ONE are comprehensive. Fine-grained parameters can be fine-tuned here, including sending speeds and retry settings for each individual modem device. Have co-workers use the Web Messenger via their own dedicated login account. You will be able to control the number of messages they can use over a defined time period, and review their usage as well. 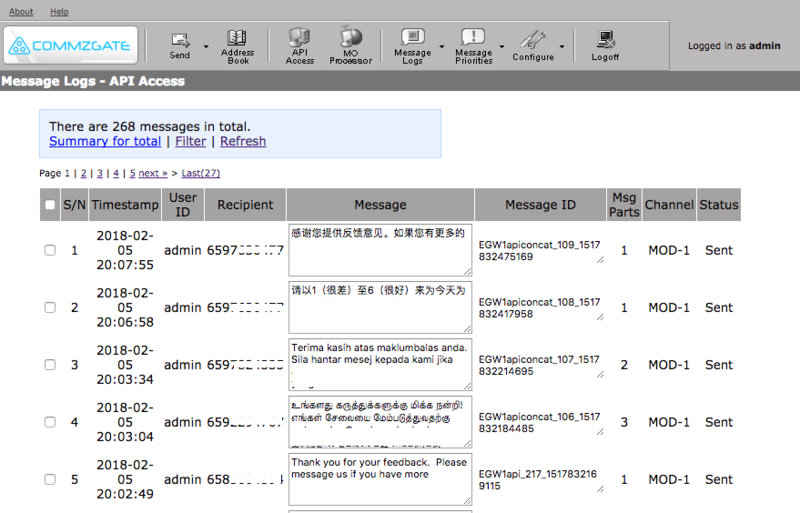 All messages sent and received via the appliance are logged and searchable. All data can be exported into a tab-delimited flat file as well. Customise the way you want your messages to be prioritised. This ensures that time-sensitive messages get sent first. 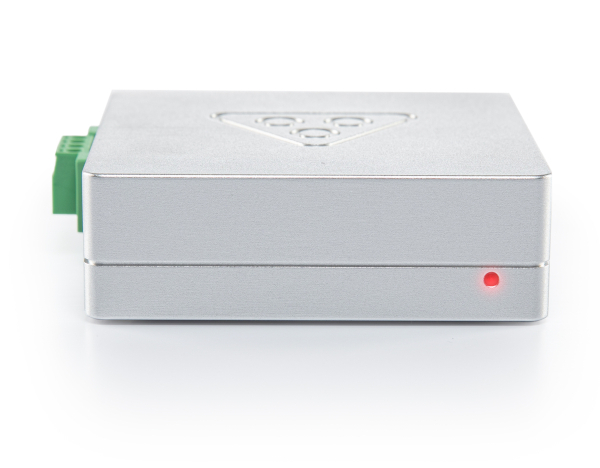 Use CG-ONE as a simple and effective network monitor for your servers and devices. SMS alerts will be sent even if your network stops functioning. *SIM card not included. SMS usage charges dependant on your SIM card provider. When you send SMS messages via a cloud service, your contact and message data is exposed to a third-party. By using SIM-cards, there is no other intermediary between you and the Mobile Operator. You can get CG-ONE working within 5 minutes of plugging in the power supply, even without a local area network. CG-ONE is battle-tested with demanding end-users at global corporations and government. We built this product and scratch and support it like it's our baby. We worked hard to make sure you will find an edition that meets your requirements and budget. CG-ONE runs the battle-hardened CommzGate Enterprise SMS-OS deployed worldwide since 2001. Contacts API for managing recipient lists. Built-in Network Monitor feature allows you to monitor multiple IP addresses and TCP ports and receive SMS alerts upon state change. CG-ONE is deployed by various large corporations and government agencies including the Central Narcotics Bureau, Ministry of Home Affairs, National Library Board and the Maritime and Port Authority in Singapore. Can I access CG-ONE with Windows 10? Access to CG-ONE depends only on a standard Web Browser. This means that you can operate CG-ONE via Windows, Linux or a Android or Apple tablet. Will I be charged for SMS usage costs? This is dependent only on the SIM card that your insert into the CG-ONE 3G modem. SMS usage charges are dependent on the SIM card provider that you purchase your SIM card from. What is the SMS broadcast throughput? Each 3G USB modem can process about 7 SMS message parts per minute. 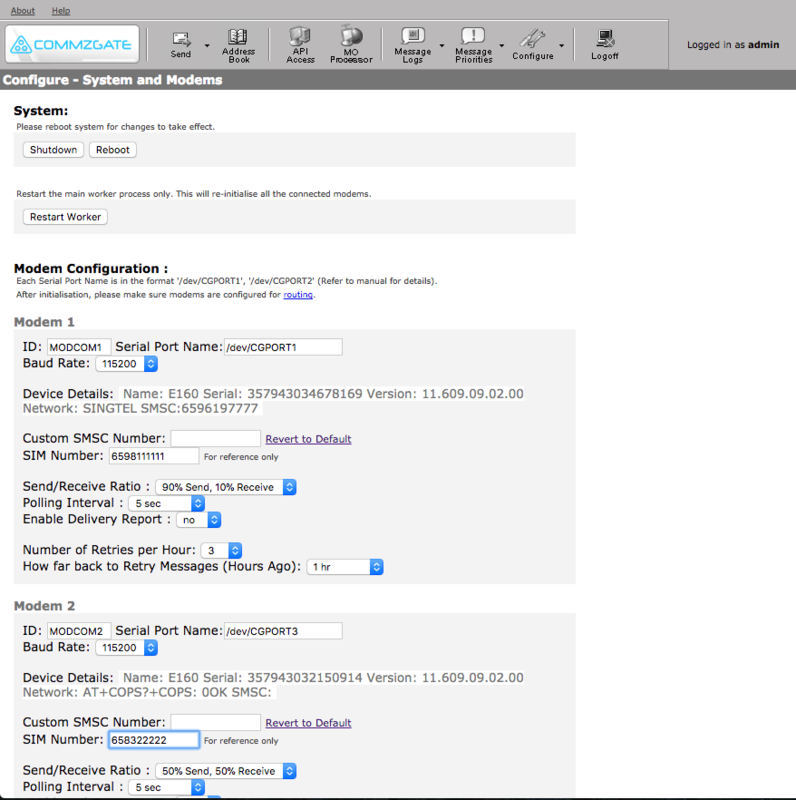 For the CG-ONE Plus version, you can operate 4 modems concurrently to scale the throughput 4 times faster. How can I programatically monitor CG-ONE? We have included a Server Health API for you to monitor CG-ONE programatically. Refer to the API Guide for details. Yes we do! Click here to contact us. 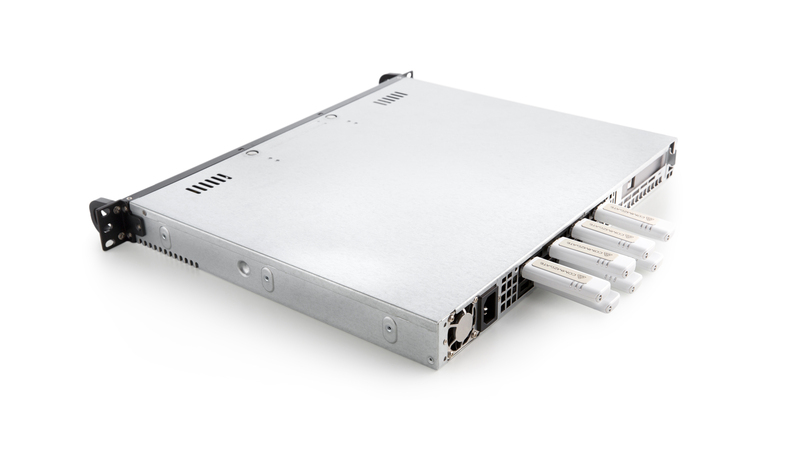 The CG-RACK model runs 7 modems concurrently in a 1U rack-mountable form-factor.